Flowery, colourful and vibrant - You just can't help but love dream catchers. Then why shall we compromise on their availability and choices? If you feel the same, we know your calling. Dreamhues Dreamcatchers, a Pune-based Insta-store is a one-stop destination for all your dreamcatcher needs. A brainchild of Riya Deshpande, Dreamhues Dreamcatcher has been serving handcrafted pieces for the last two years. They even customize their products according to the client’s budgets and preferences. Be it feathered keychains, wall hangings, car hangings, bookmarks or even office desk accessories, they customize it all with finesse. If you’re someone who's very particular about your preferences, just send them a picture and they will replicate products without any hassle. The best part is that the dreamcatchers and other accessories are highly affordable and you don't have to worry about shelling out a lot. Starting at just INR 100, each of their dreamcatchers is weaved to perfection with a lot of effort. Not just that, they even offer accessories to compliment your outfits. We highly recommend you to check out the tassel earrings available at the store. High on elegance and variety, you'll fall in love with their earring collection. If you’re already tempted by their dreamcatchers and accessories, we have good news for you – they even take bulk orders. Do visit their Instagram and Facebook pages for a teaser of their designs and DM them for orders. 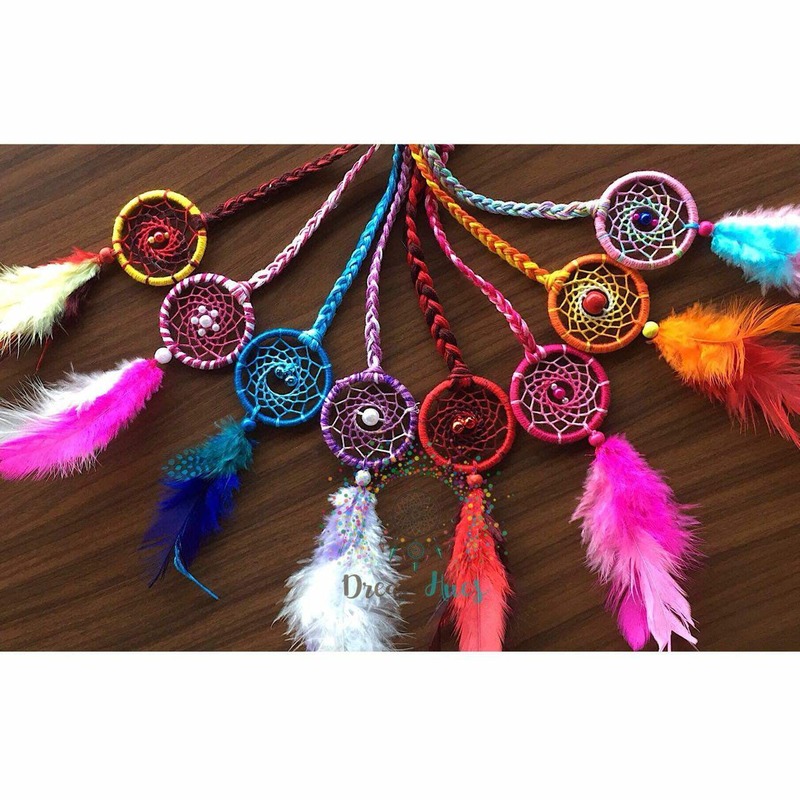 Keep all the negativity at bay and pamper yourself with happy and beautiful dreamcatchers. Rest assured, there will be good vibes only. They are into customisation of other products such as keychains, earrings, bookmarks. We wish they displayed more of these on their social media pages.